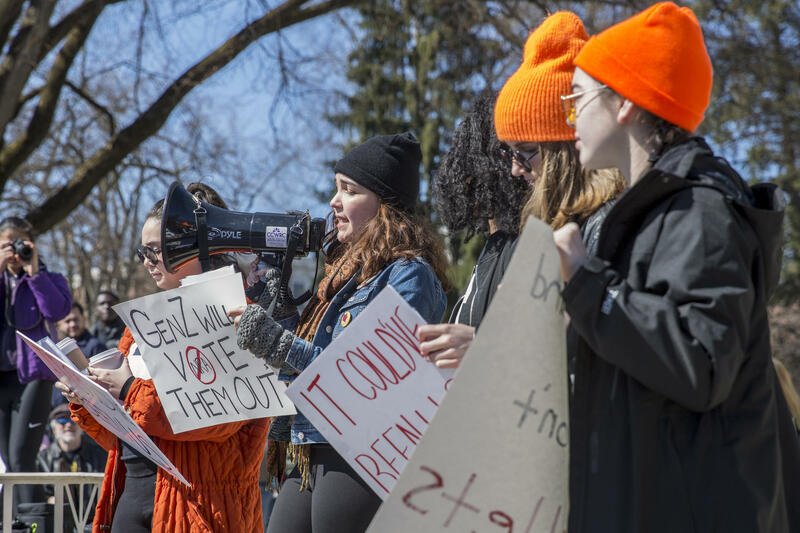 State High students organized the local March For Our Lives to protest against gun violence and demanded action for gun control policy. Kayla Fatemi is a State High senior and an organizer for the march. 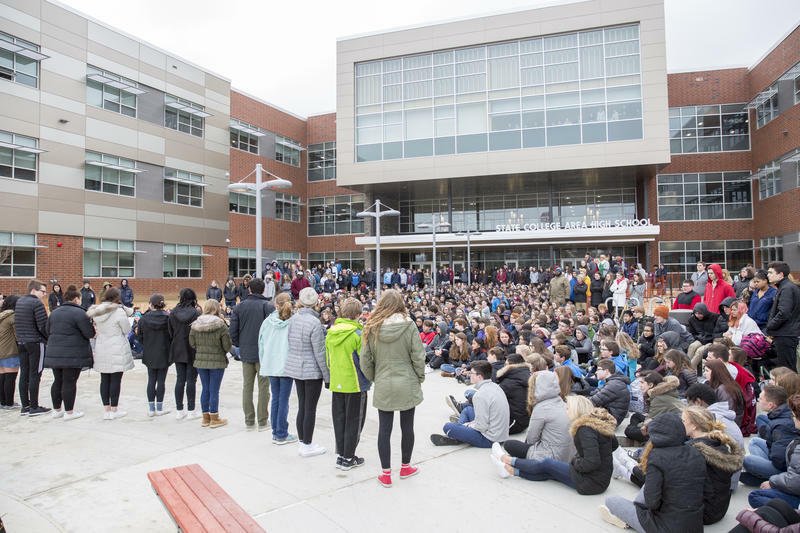 Speaking in front of her school and citing Martin Luther King Jr., Fatemi said her generation was born into a world where school shooting isn’t a rarity. Kayla Fatemi led a chant on the steps of Penn State's Old Main along with other student organizers. 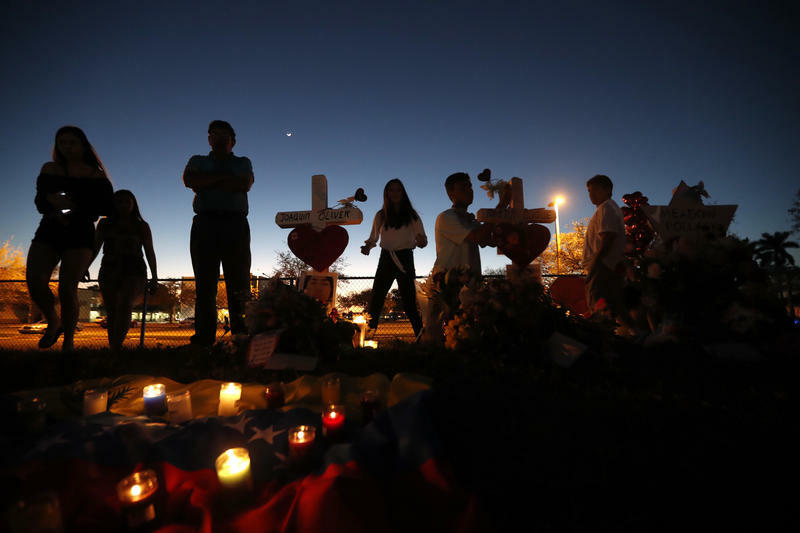 The national movement is led by shooting survivors from Marjory Stoneman Douglas High School in Parkland, Florida. After 17 students and faculty members were killed in February, students there started the “Never Again” campaign. Matt Poehner marched on Saturday with his son, Leo, who is in kindergarten and made his own sign that says “no guns in my school.” Poehner said the Parkland shooting showed that gun violence can happen anywhere, even a town that’s considered safe, like State College. 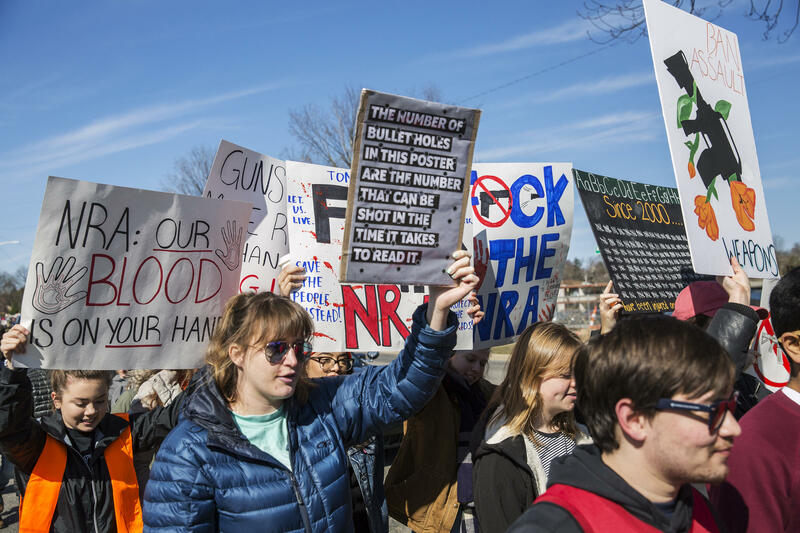 Marchers protested against gun violence and demanded action for gun control policy. 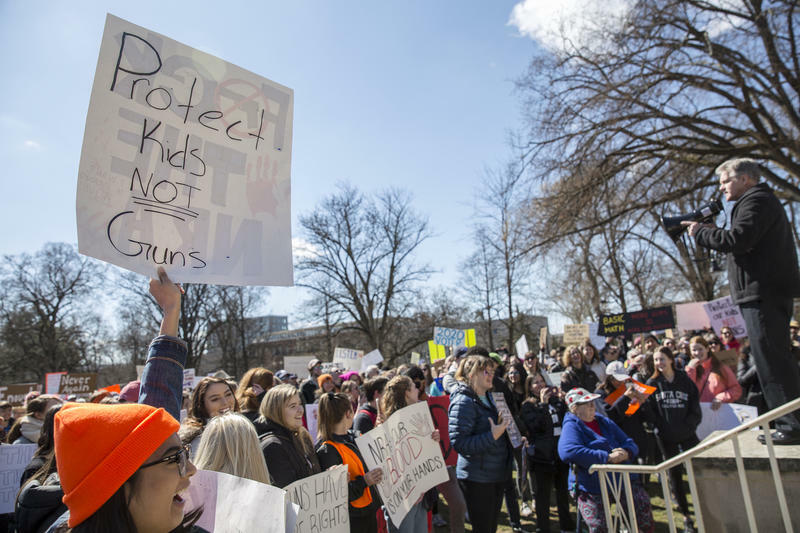 The march took aim at encouraging young voters to make policy changes happen. Caitlin Max marched with a sign that says “2020 voter.” She explained that she will be voting in the next election. “It seems like the officials right now aren't really listening to us and, if they are going to keep on doing what they’re doing, then they can say goodbye to the next [election],” Max said. Community leaders spoke on the steps of Old Main to show support for the march, including Centre County Commissioner Michael Pipe, State College Area School Board President Amber Concepcion, state Rep. Scott Conklin and representatives from the Penn State Black Student Union and University Park Undergraduate Association. Over 800 marches took place on the local level across the nation. Hundreds of thousands of people attended the march in the nation’s capital.